HTC have announced their long awaited new flagship phone. The aim of this phone has been to incorporate high quality imaging and audio into one stylish package. The design is more evolution than revolution and most in the industry expected a significant change. It has nice looking chamfered edges on an all metal unibody, so it definitely feels and looks like the premium phone it is. 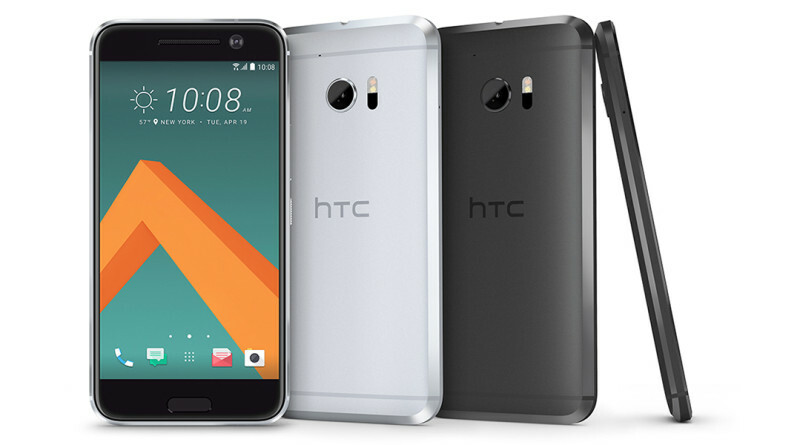 It is slightly taller and wider than the Samsung Galaxy S7, iPhone 6S and its predecessor the HTC One M9. Its also thicker than the 6S and S7. The 10’s dimensions are 145.9 x 71.9 x 9mm, although at its thinnest its 3mm thick. Its size will defiantly be felt in the hand especially as it weigh’s 161g so its also heavier than most of the competition. 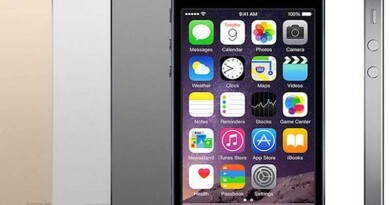 There is a fingerprint scanner on the front that is also the home button with touch buttons either side of it. The HTC 10 is available in Carbon Grey, Glacier Silver, Topaz Gold and Camellia Red for those who like their phones to be colourful. HTC are also touting this phone as very durable, which is a complaint made of pretty much every modern smartphone. According to HTC, “the HTC 10 was subjected to over 168 hours of extreme temperature tests, ranging from a freezing –20°C to a scorching 60°C; and over 10,000 drop, bend, scratch and corrosion tests”. So hopefully it’ll hold up to day to day abuse. The display is a good upgrade over the One M9, with a bump up in size from 5 to 5.2-inches. The resolution has also seen good step up from HD to Quad HD, bringing it in line with most of its competitors from Samsung, LG and Sony. HTC claim they have boosted colour saturation and brightness. HTC also claim that this new display is the worlds fastest responding touchscreen that should translate to a perceived improvement in performance. 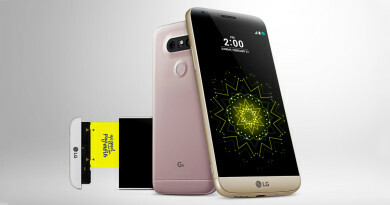 Processing power is provided by Qualcomm’s Snapdragon 820 processor, LG’s G5 and the US version of the Samsung Galaxy S7 also use this processor. This makes processing power on par with its rivals. It supports the latest 4G LTE bands and includes a feature called Boost+ which supposedly optimises the performance of the phone all while consuming less power. HTC also throw in a rapid charger, allowing a quick charge up to 50% in 30 mins. HTC have packed a powerful 3000mAh battery inside the 10 and claims that will give you two full days of charge. Battery claims tend to be bold with manufacturers and it can vary significantly with how you use the phone so don’t expect this to be the reality. Charging and connectivity is provided via a USB-C port. The camera is one of the HTC 10’s showpieces. 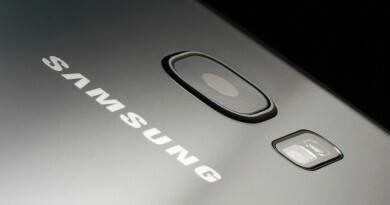 The rear camera sports 12 mega-pixels bringing it into the same group of phones as the iPhone 6S, Samsung Galaxy S7 and Huawei P9. The pixels are what HTC calls UltraPixels, basically they are larger pixels (1.55µm per pixel) that allow more light to be absorbed helping low light performance. There is an improved laser focussing system on the rear camera that enables focussing to happen as fast as 0.2 seconds. Optical image stabilisation ensures sharper less blurred images and video. The front facing UltraSelfie™ camera sports 5 mega-pixels. In a world first for a front facing camera it includes optical image stabilisation so your selfies will be that much sharper and video smoother. The camera app is also designed to launch in as little as 0.6 seconds allowing you to grab that quick shot before the moment has passed. Audio is another key feature on the HTC 10, and there is some serious kit included here. 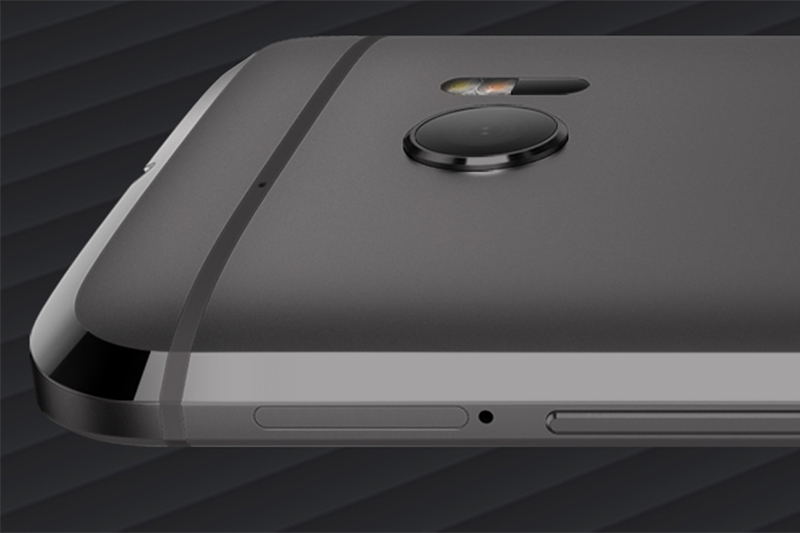 Hi-Res audio is supported and the phone is actually certified for Hi-Res audio. The speaker system is revised and gone are the dual front speakers of the One M9. Instead there is a tweeter in the earpiece and a bass speaker is located to the rear. Bass being non-directional it doesn’t make much difference where you place it. HTC’s BoomSound has been upgraded here with no less than three amplifiers, one for each speaker and one for the headphone jack. HTC claim this headphone jack/amp combination is “best in class”. Audio recording is also a world first with stereo 24-bit Hi-Res recording. This is really impressive stuff. HTC say that this captures 256 times more detail than standard audio recording. This can be listened too on the included Hi-Res earphones, the headphone amp can also upsample lower res audio into Hi-Res quality. Personal Audio Profile is a feature that customises the audio playback to suit your ears. This works by giving you a mini hearing test and adjusting the playback from the results to suit your ears. 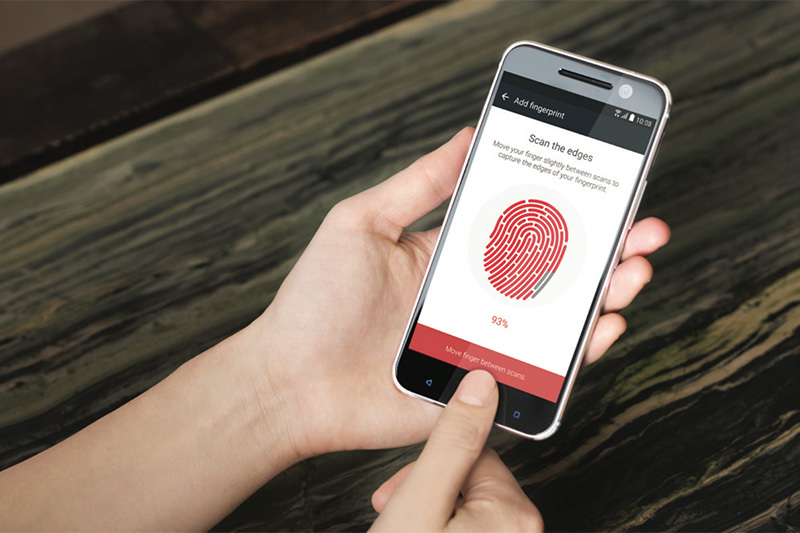 The HTC 10 runs Android 6.0 Marshmallow which is Google’s latest OS. This has been overlaid with HTC’s Sense UI. This time around HTC have concentrated on removing duplication of apps and have prioritised Googles standard apps over their own in most cases, with a few exceptions. 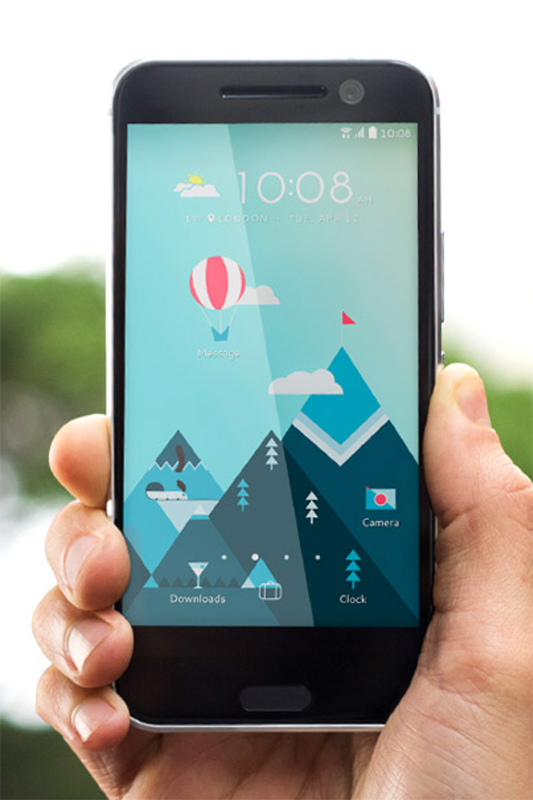 HTC have developed what they call a FreeStyle layout which no longer restricts you to a grid system for your home screen and apps and widgets can be dragged anywhere on the screen. You can even disguise apps by changing their icon’s to make them blend in with your set theme. You also get access to thousands of professional themes making this phone highly customisable. App Lock provide the functionality to lock any app you choose and App Manager provides an instant fix when you have an app that is misbehaving. Judging by the first impressions from the launch its probably HTC’s strongest phone in a long time, time will tell if it will compete with Samsung, LG and Sony along with relative new comers Huawei and OnePlus. Pricing is £569 (US$699) and is available to pre-order now directly from HTC for deliveries in early May 2016. ← Could we see a 40% Thinner Apple Watch 2 this summer?